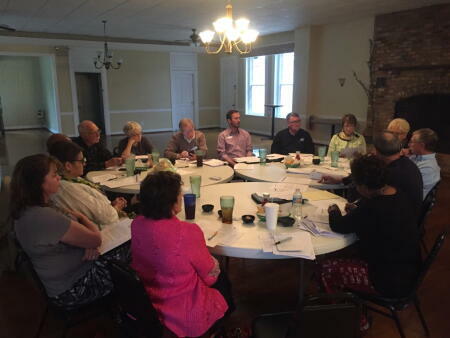 The Montgomery County Fund met recently to discuss the Blueprint for Success and vote on their affiliate goals. The board of advisors is proud to report that the meeting saw 100% turnout of board members. Pictured above (from left, counterclockwise) are Rosemary Huntley, Melissa Taylor, Breon Allen, Earl Leake, Gordon Knowles, Sharon Matheny (vice president), Clyde Cupples, Michael Hayes, Craig Jones, Judy Stevens, Kerry Hensley (grants chair), Gary McRae (secretary), Brady Dickson (president) and newest board member Vera Richardson.